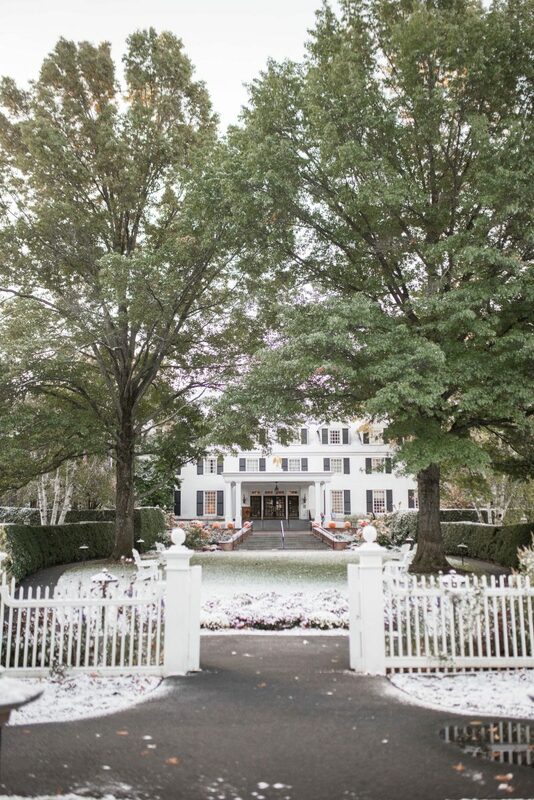 Stop two on our trip to New England was Woodstock, Vermont, and I had the pleasure of staying at the beautiful Woodstock Inn, which has always been a DREAM of mine! It is everything you would imagine New England to be: quaint, romantic, and cozy! I’ve mentioned this in several travel guides in the past, but I love boutique hotels. There is something about them that is so much more luxurious and private as compared to larger resorts where you are just a number in a crowd. 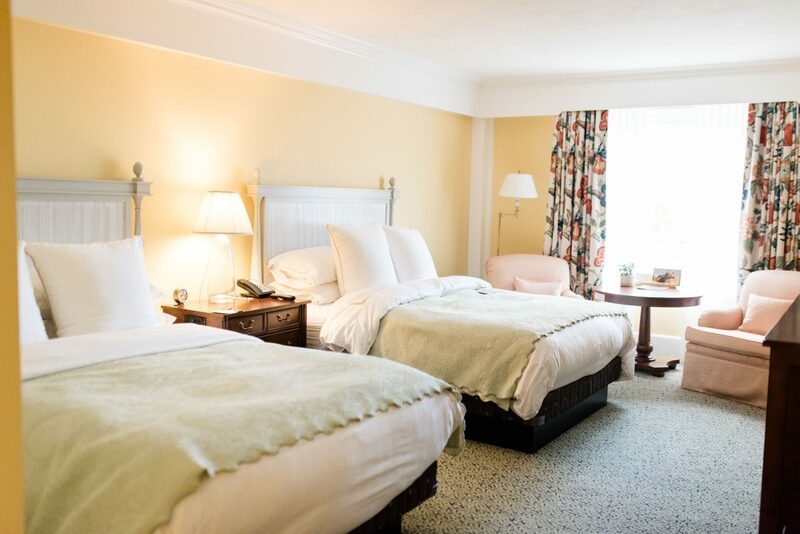 The Woodstock Inn makes sure to take care of all their visitors with the upmost level of service and it really makes you feel special. Not to mention, the city of Woodstock itself is so charming and the people are incredibly kind. It has a very small town feel, yet you still feel like you’re on vacation because of how beautiful it is. Woodstock reminds me of a town you’d see on front of a post card. 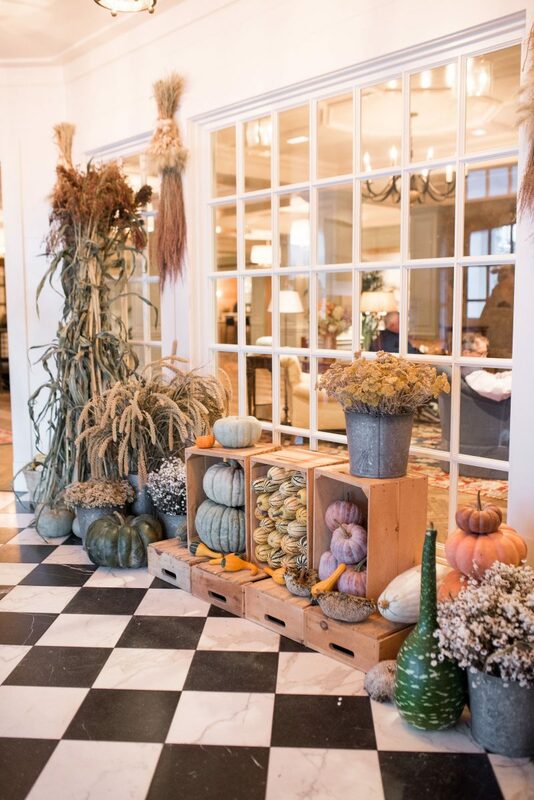 Covered brides, adorable stores with window boxes, and pumpkins… everywhere! There’s so much to see and do in this beautiful little town and I can’t wait to share it with you. 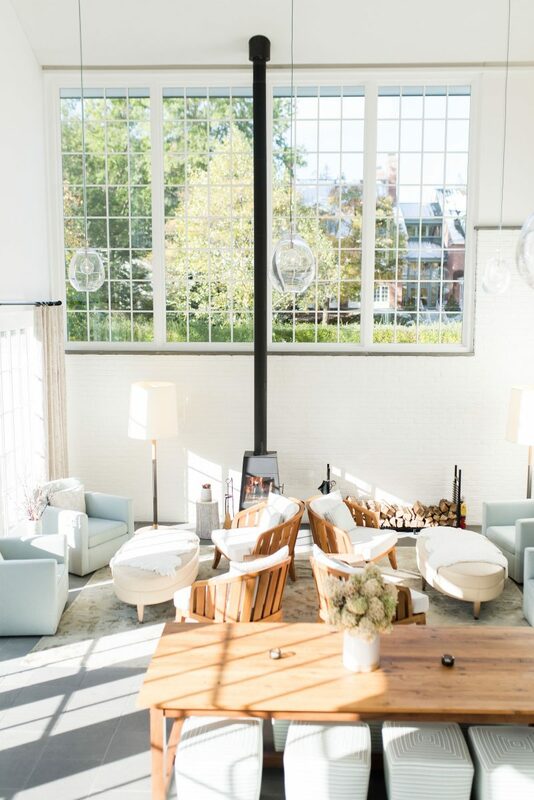 The Woodstock Inn is no doubt the best place to stay in Woodstock, Vermont. From the level of service, to the hotel amenities, to the most beautiful spa I have ever seen, it is the perfect New England Oasis. This hotel has everything you would need for your next visit to Woodstock. The rooms are spacious (and beautifully decorated, I might add), and the on-site restaurant is definitely one you won’t want to miss. We ate breakfast there each morning, and it was one of the best omelettes I’ve ever had. They have a chef who cooks them right in front of you. You also won’t want to miss grabbing a drink at the hotel bar and catching a seat by the wood fire. It’s so cozy and peaceful. Last, but certainly not least, you absolutely have to try out their spa and get a treatment during your visit. I am not exaggerating when I say it is the most beautiful spa I have ever been to. It includes a eucalyptus steam room, sauna and jacuzzi tubs to take advantage of following your service. We treated ourselves to massages during our visit, and it was the best decision we made of the trip. It was much needed after a long couple days of travel so that we could sit back and relax for a couple of hours. For being such a quant town, there truly is so much to do in Woodstock, Vermont. We were only there for 2 nights, and we didn’t even scratch the surface of all the things we wanted to do. Here are some things I’d recommend you do during your next visit to Woodstock, Vermont. Go on a scenic hike or drive. There are so many streets off the beaten path that result in incredible views up the mountain, especially in the fall when the leaves are changing. Visit Simon Pearce glass blowing studio. He is from Woodstock, and has a studio in town. Vanessa and I visited for lunch and watched one of the glass blowing demonstrations. Experience the outdoors. The Woodstock Inn can arrange any outdoor activity you’d like including fly fishing and skiing. 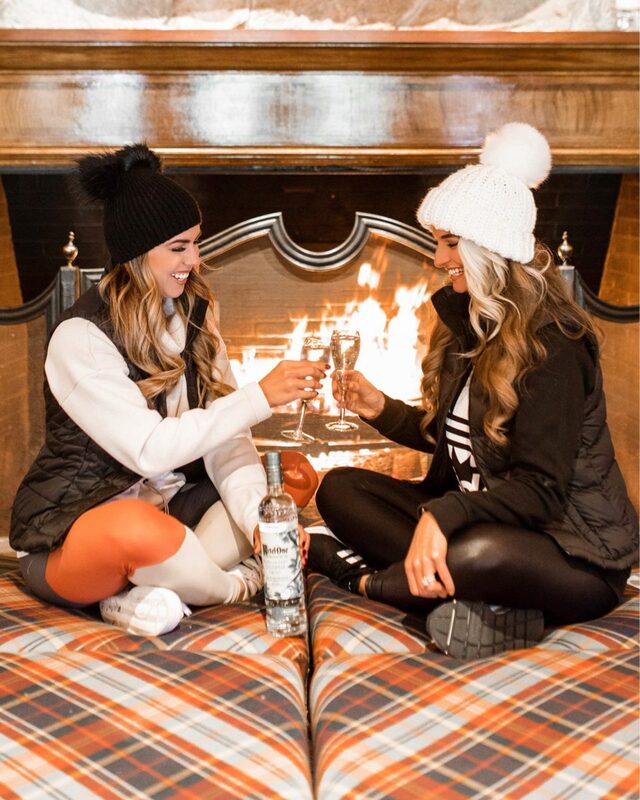 Grab a drink and cozy up by the fire. The Woodstock Inn has indoor and outdoor fire places. 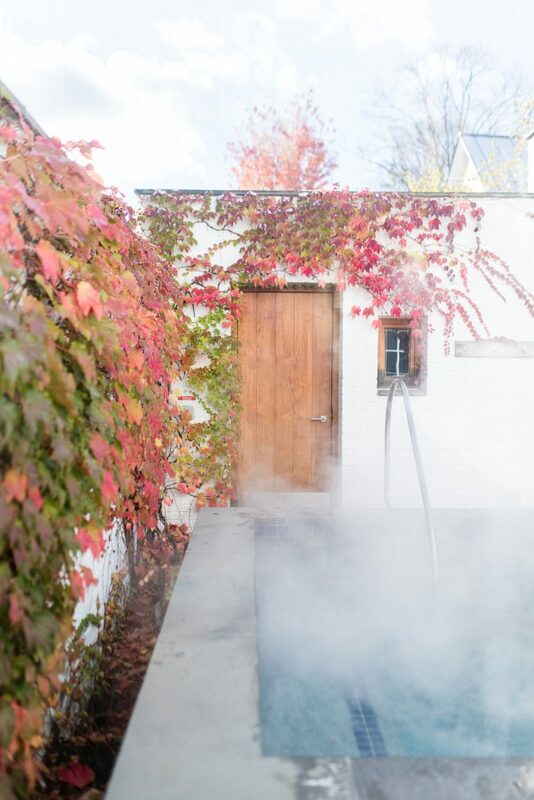 Visit The Woodstock Inn spa – you will NOT be disappointed! Go on a covered bridge tour – they’re famous throughout Vermont, and a lot of them have spooky/haunted stories that are fun to learn about. We were only in Woodstock for 2 nights, but we ate at some of our favorite restaurants here during our New England Tour. Below are some of the ones I recommend, or those that were recommended to us. 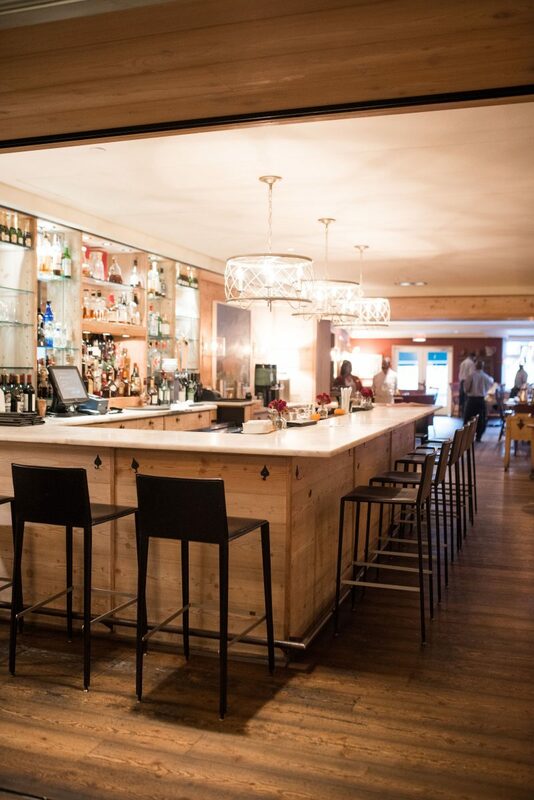 The Daily Catch – This is a seafood Italian restaurant that was recommended we try in Boston. We found out there was also also a location in Woodstock and decided to give it a try. It was SO good! I got fettuccini with scallops – highly recommend! The Red Rooster – this is the restaurant located at The Woodstock Inn that we also ate dinner at. It has amazing cocktails and makes for a great dinner spot for a special occasion. The menu changes daily and is based off what is locally available, which I love! Mon Vert Cafe – a wonderful coffee spot that’s also great for lunch. The Prince & The Pauper – recommended to us by SO many people. We were really sad we didn’t get to try this place because it definitely looked like a restaurant I would love. I will definitely be back. Melaza Bistro – Caribbean fare recommended by concierge. I’m not much of a Caribbean food fan myself, but everyone raved about this place. Worthy Kitchen – A vegetarian restaurant that is known for their salads. Great healthy option. Simon Pearce – Great spot for lunch with a variety of options. Recommended doing lunch here if you choose to check out the glass blowing studio.